I’m a regular at both the Rochester Public Market on Saturday mornings and the Brighton Market on Sunday mornings and I’m trying to spend more time at other markets around town as well. There are an absolute ton of interesting places at the various markets that don’t get publicized enough and I’m going to be highlighting some of my favorites on a regular basis on Food About Town during the upcoming peak season months. 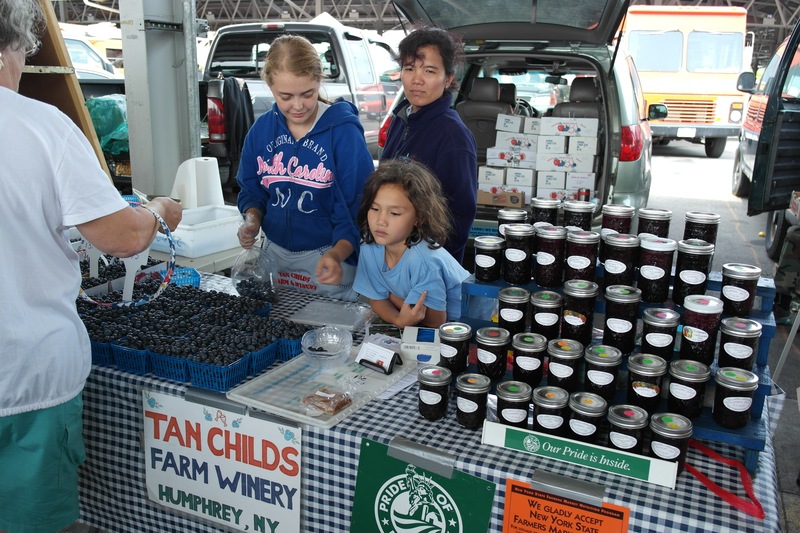 The first market spotlight is on Tan Childs and their fantastic blueberries at the Rochester Public Market near the north side of Shed C (the straight outdoor one). 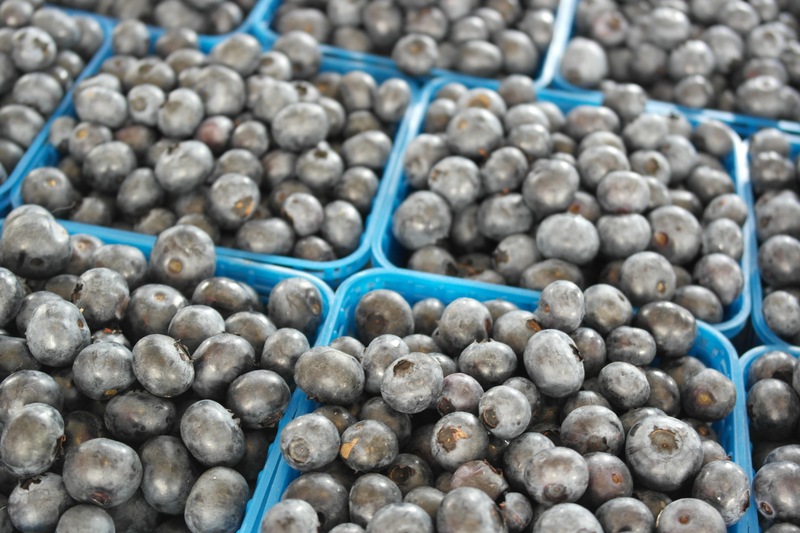 I’m not entirely sure if they go to any other markets in Rochester (will check next time I see them and will have that info for future posts), but their arrival the the Public Market in early July is when I start buying blueberries for the season. Now I’m not saying that there aren’t any other tasty blueberries in town, but I only buy my in season berries from Tan Childs. Rita always greets us with a smiling face and we typically buy a $13 medium sized basket for the week and usually end up dispatching of them well before the next Saturday! They are not the cheapest berries at the market but they are generally consistent in texture and flavor and, according to their website and brochure they hand out, they are sustainably mountain grown in Hinsdale, NY where you can also pick your own berries. They also sell blueberry jams, small baked goods and wines (although I didn’t see any out this past weekend) if plain fruit just isn’t enough for you. The blueberry season will only last another 7-8 weeks according to Rita so get out and enjoy some local grown berries while they’re ripe!